Through his incredible vision and drive, Steve Jobs forged together what is today the most valuable company in the world, and, along the way, he revolutionized many industries and facets of how we live. And, for his many accomplishments, his name is often synonymous with the words "entrepreneur" and "visionary". So, it should come as no surprise that he was rightfully named the #1 entrepreneur of our time in a list put together by Fortune. Fortune noted that, though occasionally abusive and mean-spirited, he is "our generation’s quintessential entrepreneur." They went on to describe his hatred for market research and focus groups, as he felt that they restricted one’s ability to innovate. 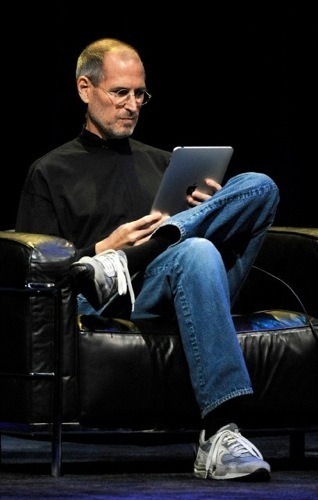 Jobs disregarded conventional R&D practices and followed his own intuition; which, as it would turn out, was far more accurate. He had a knack for "connecting the dots" and timing that has proven to be much more valuable than conventional market research. 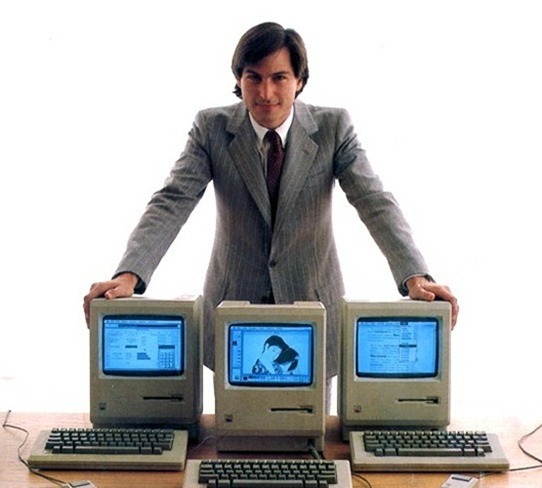 Fortune recalled a time when a Popular Science reporter asked Jobs what studies Apple conducted to identify a market for the computer when they launched the Macintosh. He retorted, "Did Alexander Graham Bell do any market research before he invented the telephone?" There were quite a few other instances of this occurring as well; Jobs served up a witty retort to a reporter questioning Apple’s methods of market research (or lack thereof). Consisting of 12 entrepreneurs, the people on the list were selected based on a number of factors: The success of their companies, their vision, and the social and economical impact of their work. Along with Jobs, the other 11 entrepreneurs on the list are Bill Gates (Microsoft), Fred Smith (FedEx), Jeff Bezos (Amazon), Larry Page and Sergey Brin (Google), Howard Shultz (Starbucks), Mark Zuckerberg (Facebook), John Mackey (Whole Foods), Herb Kelleher (Southwest Airlines), Narayana Murthy (Infosys), Sam Walton (Wal-Mart), and Muhammad Yunus (Grameen Bank), respectively. As you can see, there are five other guys on the list who are infamous in the technology world. Bill Gates, often touted as Jobs’ nemesis ranks #2 on the list, right beneath him. Jeff Bezos of Amazon is #4, Larry Page and Sergey Brin of Google are both #5 on the list, and Mark Zuckerberg of Facebook is #7 on the list. As Fortune describes it, there are also ‘surprises’ on the list – people who aren’t as popular as the "given" guys who we’d expect to find – such as Narayana Murthy of Infosys, a successful IT consulting company in India.